12-digit calculator prints 3.7 lines per second in two colors with positive numbers in black and negative numbers in red. 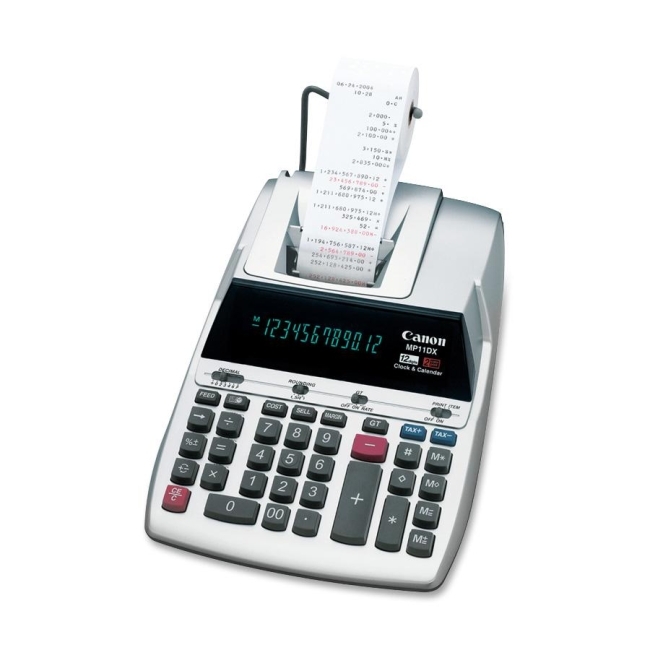 Functions include cost-sell-margin; profit margin; quick tax calculation; calendar/clock on display; grand total; decimal positions in add, 0, 2, 3, 4, 6, floating; non-add print; round-up/off/down; item count; sign change, grand total; and oversized plus, minus and total keys. Calculator runs on AC power and weighs 3.9 lb. Dimensions: 3.20" x 8.60" x 12.70"